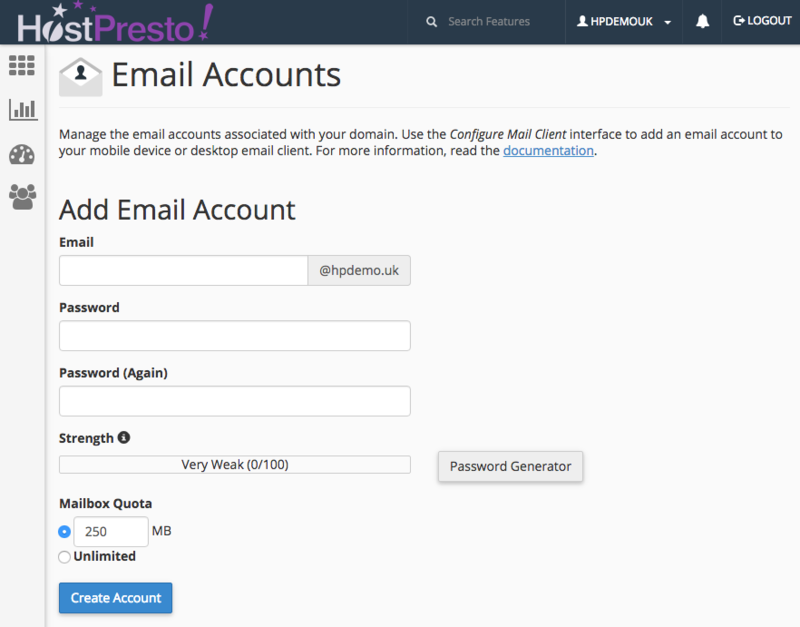 You can create an email account through your cPanel control panel which is where you manage your hosting account. This process can create any email address such as contact@your-domain.com or sales@your-domain.com and so forth. The first step is to log into your cPanel account. If you are unsure on how to do this, please view the following help article - 'How to log into cPanel'. Once you have successfully logged in, either type email into the search box or scroll down to the 'Email' section as per the below. Select the first option shown 'Email Accounts'. Email: Enter in the email address that you would like to create. For example, if you would like to create an 'info@' type email address, simply type 'info'. Password: Enter a password for the email account. Please think wisely about using a secure password that contains letters and numbers. Password (again): Repeat the password again for the email account. 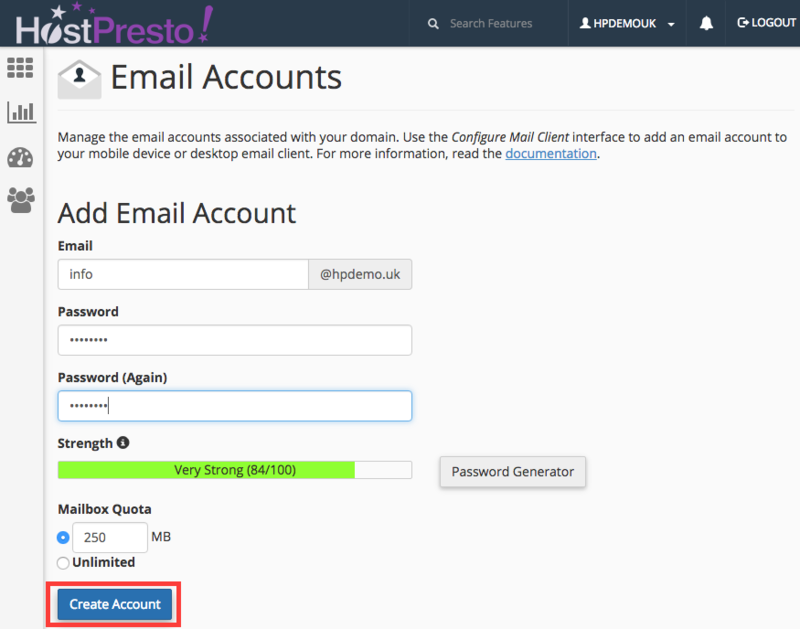 Mailbox Quota: You can set the total size for the storage of the email account (this is defaulted to 250MB) or set the option as unlimited. It may be useful at this stage to write down the details for the new account so you can remember them for future reference. You should find that you have now completed the required sections and that you've been scored how strong your password choice was. Complete the process by choosing the 'Create Account' button. You should find that visual confirmation is given that the account has been created. By scrolling further down the email accounts section, you should now see the new account that you have just created, with some management options should you wish to revise the account in the future. Creating an email account is now complete.